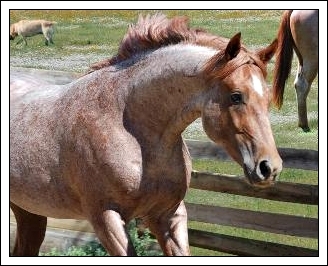 Born very PINK, now a lovely ROAN with "Magenta" tail! fuzzy, but still so pretty! Winter cell phone video - lots of wind, but fun to watch em play!